For more info about places at American Tobacco, click on the links below. 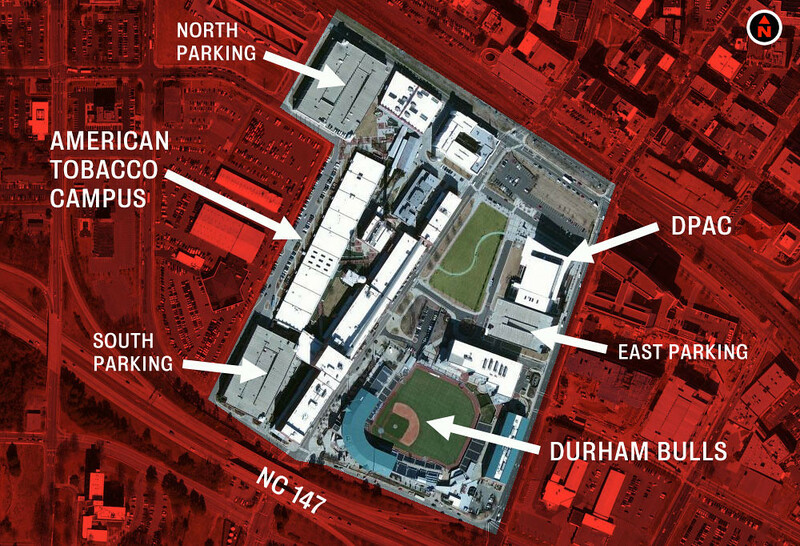 American Tobacco in Durham, NC includes the American Tobacco Campus, Diamond View, DPAC and Durham Bulls Athletic Park. Within the District, you'll find restaurants, entertainment, office space, the American Underground startup incubator, WUNC Public Radio, the Full Frame Theater and much more.